There is a buzz in the air this week about the Chevy Volt thanks to an announcement by General Motors on Friday that they’ll be shutting down production of the Volt at the Detroit-Hamtramck assembly plant for five weeks. While the news media geared up to make this announcement look like the end for this highly-publicized plug-in hybrid electric vehicle, we bet that this decision to equalize supply with demand is just a Volt growing pain. So, we went straight to the horse’s mouth and asked Rob Peterson of Chevy Volt Communications about the Volt team’s take on this whole situation. It seems the feeling inside the company is decidedly positive — something you might not envision if you just listened to Google News and your television. Peterson started off the interview by telling assuring us what we already though was true, “this is just an opportunity to adjust our inventory levels, it is just temporary,” and then let us in on some insights from the Chevy crew. As we explained in an article earlier today, and as many outlets have pointed out, the Republican primary contenders have been using the Volt as a scapegoat for assaults against the “radical left.” Peterson said that though their attacks might seem baffling, he can look at things from their perspective. Peterson also made mention that perhaps the biggest problem in this hiccup is being the first line out to battle in the electric vehicle wars. “The key thing here is that the Volt is not that much different than all these other new technology vehicles but there is an adoption curve. The adoption rate can’t just take off but eventually it will reach a tipping point. But you have to be out there first, we’ve been out there for awhile,” Peterson told us. “We’ve stumbled here with the investigation of the battery fires, which put a little bit of a damper on sales but we are seeing a recovery in sales, there is positive momentum out there which is a great sign for us.” He reiterated to us that this small speed bump and temporary factory shut down was just a moment for Chevy to catch its breath, reassess the situation, and let sales catch up with production. “Our objective is to build vehicles to meet demand rather than building vehicles and forcing a different type of demand curve. It is really important for people to understand that the Volt is a vanguard in the introduction of electric vehicles,” Peterson told us. With every new introduction of technology or a change in lifestyle, one has to expect bumps in the road. It can’t all be smooth sailing. 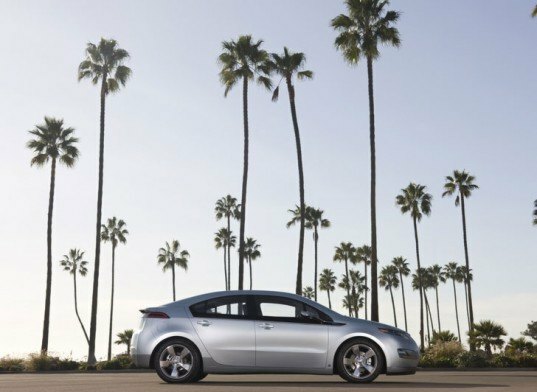 One thing that has been smooth, however, is customer satisfaction with the Volt. 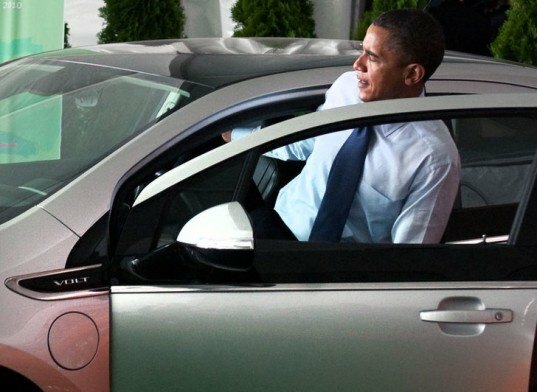 Peterson told us that in a recent Consumer Reports survey 93% of Chevy Volt owners said they were “very satisfied” with their vehicle. There is a buzz in the air this week about the Chevy Volt thanks to an announcement by General Motors on Friday that they'll be shutting down production of the Volt at the Detroit-Hamtramck assembly plant for five weeks. While the news media geared up to make this announcement look like the end for this highly-publicized plug-in hybrid electric vehicle, we bet that this decision to equalize supply with demand is just a Volt growing pain. 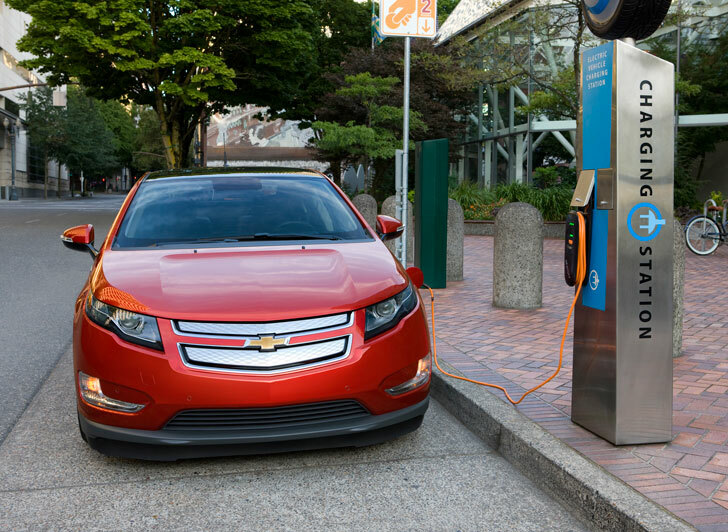 So, we went straight to the horse's mouth and asked Rob Peterson of Chevy Volt Communications about the Volt team's take on this whole situation. It seems the feeling inside the company is decidedly positive -- something you might not envision if you just listened to Google News and your television. Peterson started off the interview by telling assuring us what we already though was true, "this is just an opportunity to adjust our inventory levels, it is just temporary," and then let us in on some insights from the Chevy crew.